Discussion in 'Competitions, Charity, and Give Away's' started by Everzon, Oct 18, 2018. Hello, my friends! Halloween is coming, are you ready? 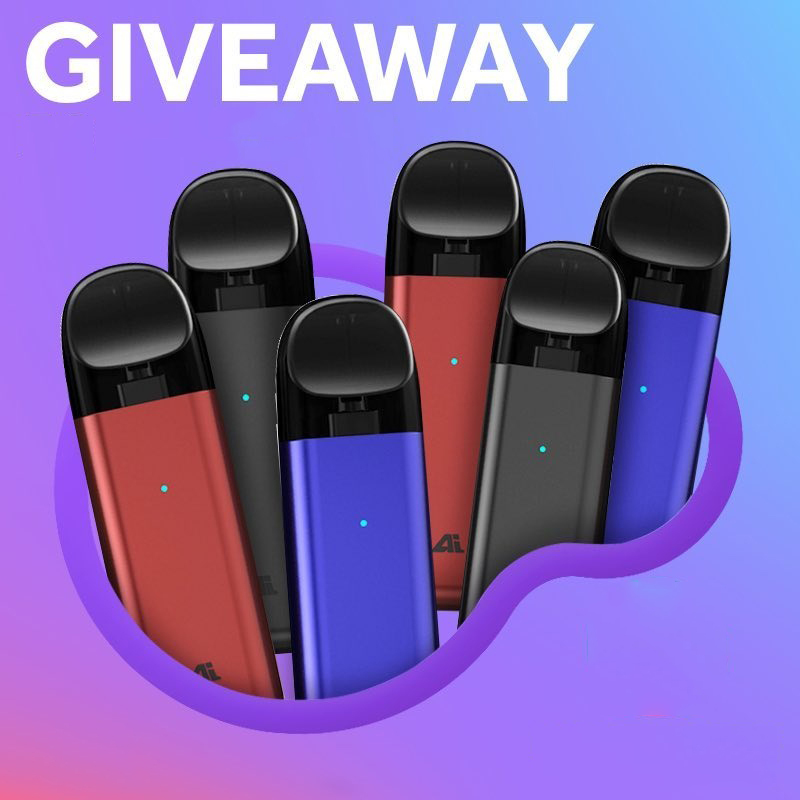 Everzon is giving away one wonderful giveaway!! Wanna get your hands on the lastest IJOY AI Pod Kit 450mah? Here you go! Rock on the Halloween Party! IJOY AI Pod Kit, with 450mAh built-in battery and 2.0ml refillable tank, is a portable and fashionable MTL starter kit best for nicotine salt. The pod coil adopts organic fiber cotton, which can make the liquid fully atomized and produce pure flavor, retaining the original taste and long lifetime. 2. Which new launching is your favorite? 3. What device you want to order but Everzon still hasn't sold? Please kindly advise. 1. One winner will be selected by random.org on 2nd Nov.
Have an account on Everzon? Yes, I have an account on Everzon. Which new launching is your favorite? What device you want to order but Everzon still hasn't sold? Please kindly advise. Which item do you want us to giveaway next time?